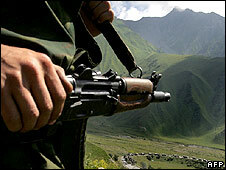 Armed with computers, unseen ranks of hackers are fanning conflict in the Caucasus. 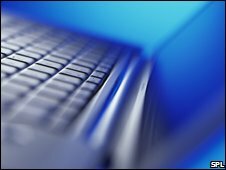 Internet users in Russia and Georgia have attacked vital websites in each other's countries, in a virtual echo of battles being fought on the ground by troops and tanks. Several Georgian government portals have been defaced or forced offline by hackers allegedly based in Russia. 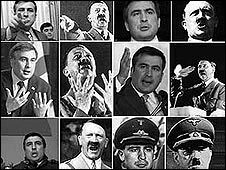 Visitors to Georgian President Mikhail Saakashvili's website were recently routed to a page portraying him as a modern-day Hitler. Georgia's parliament and foreign ministry sites have also repeatedly been disabled, allegedly by attacks from networks of hijacked computers. Hackers from Georgia have meanwhile been blamed for targeting the websites of Russian news outlets and the separatist government of South Ossetia, which Russia supports. Internet security experts say it was inevitable that a conflict fired by separatism in the Caucasus should spill into cyberspace. The republics of the former Soviet Union are, along with China and Brazil, major centres of cyber-crime, according to Alex Shipp of the email security firm, MessageLabs. While the Chinese specialise in industrial espionage and the Brazilians are adept at online financial fraud, Mr Shipp says Russian criminals dominate the market in online tools tailored for amateur hackers. "Several Russian sites specialise in selling software that would-be cyber-criminals can download," he says. Russia's association with cyber-crime dates back to the demise of the former Soviet Union - an event that roughly coincided with the dawn of the internet era in the early 1990s. For thousands of youths who came of age as communism collapsed, computers symbolised the new spirit of enterprise. Treating programming as a tool for self-empowerment, these eager amateurs eventually became skilled software engineers. They learnt their expertise, in part, from a brilliant earlier generation of Soviet-era developers, says the BBC News website's technology correspondent, Mark Ward. These older programmers had devised clever software to sidestep the shortcomings of the clunky communist computers they had been forced to use. Although Russia's new engineers had skills to match the brightest minds of Silicon Valley, they earned far smaller sums than their peers in the West. Bored and underpaid, many turned their talents to hacking. Gradually, they attracted new paymasters from the thriving post-Soviet underworld. As the gangsters harnessed the hackers' skills, the profits from cyber-crime grew. The result, according to technology critic Bill Thompson, is a business that today resembles the "dark side of Silicon Valley". The people accused of attacking government websites in Georgia's war with Russia are using many methods pioneered by the cyber-criminals. However, it is far harder to trace hackers who are driven by patriotism rather than profit. "Where extortion or fraud is involved, you can follow the money trail," Bill Thompson says. "But politically-motivated attacks are almost impossible to police." Hacking technology is also becoming increasingly accessible. The most common form of attack uses networks of hijacked computers, or botnets, that besiege a site with more traffic than it can handle, eventually forcing it offline. Such "denial of service" attacks are often the work of amateurs, following instructions downloaded from the internet. Experts are more commonly responsible for "deface hacking" - attacks that manipulate the content on a secure website or divert traffic from it. According to Anton Nosik, a Russian businessman and internet pioneer, most hackers tend to be teenagers with broadband internet and limitless time on their hands. He says websites hosted in countries with relatively small, under-developed networks are often most vulnerable to attack. The Georgian government, he says, ought to consider moving its websites to providers in the US or Western Europe if it hopes to reduce its exposure to attack. In doing so, it would follow an example set by websites that support separatists from the Russian republic of Chechnya - also frequently targeted by hackers. "Websites run by Chechen militants are hosted in western European countries with relatively large, secure networks - capable of handling larger volumes and less easily taken off air," Mr Nosik says. But, he warns, there is no foolproof defence against the most determined hackers, for whom Russia remains a haven. "The very notion of crime only exists in places where you have the law and the law is applied," he says. Global laws governing cyberspace are still being devised. In nations waging war, they are least likely to be applied.